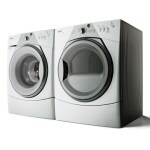 There is no denying the fact that Whirlpool Duet washers are among the best of the best. This can be seen in the quality of the construction, the good looks, and the durability. Although the Whirlpool brand is well known to be one of the most durable on the market, you never know when something could go wrong. Rather than put your Whirlpool Duet on the curb, you should replace the bad part. Not only will this save you money, but it will teach you a thing or two about how your appliance works. Before you can do anything in terms of repairs, you need to know what is wrong with your Whirlpool Duet appliance. How are you going to do this? First things first, you should make a list of why you think your washer is not functioning properly. Once you do this, you will find it much easier to diagnose the problem that you are dealing with. If you want to purchase Whirlpool Duet parts at the cheapest price, head online to find the best deals. Not only are you going to find low prices on parts for your appliances, but you are going to learn a lot about what the industry has to offer. You may be surprised to find that there are hundreds upon hundreds of parts to choose from. Here is a short list of some of the most commonly purchased Whirlpool Duet parts: door handle, drain pump assembly, front bellow tub seal, shock absorber, door switch assembly, inlet valve, clamp ring, door strike, and door hinge. As you can tell by the name alone, some Whirlpool Duet parts are easier to replace than others. Are you comfortable replacing parts on your Whirlpool Duet washer? Or do you have the feeling that the job is best left to a professional? If you are not confident in your ability, contact a service company in your area to do the job for you – it is better to be safe than sorry. Will any of the above parts help you repair your Whirlpool Duet? No matter what you need, you can find a large selection of Whirlpool Duet parts online.